As the DVD discs are not so popular as before, you probably want to back up your favorite videos from the DVD disc to your computer. Or if you have a video on a DVD and you want to run it on your phone, you will first need to convert it into a format supported by your phone and then play it on your device. 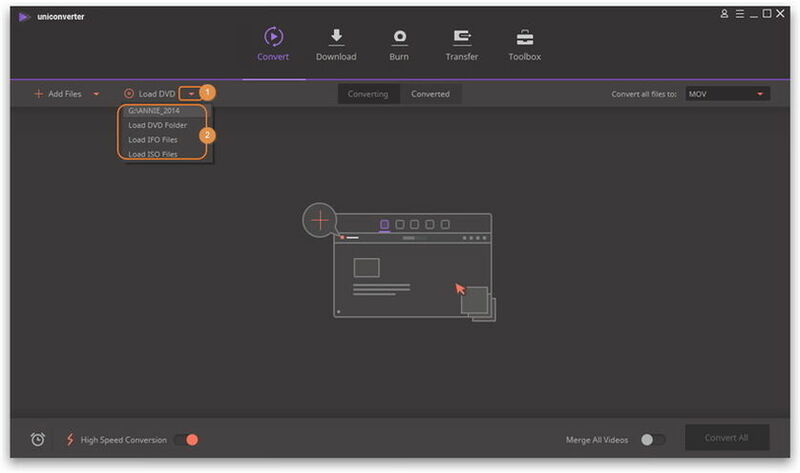 Converting a video from DVD into another file format is quite easy through Wondershare UniConverter (originally Wondershare Video Converter Ultimate). Just follow the steps below. Step 1 Load the videos from DVD. 1. Insert the DVD disc to your DVD drive. If you own a external DVD drive, then connect it with your computer. 2. 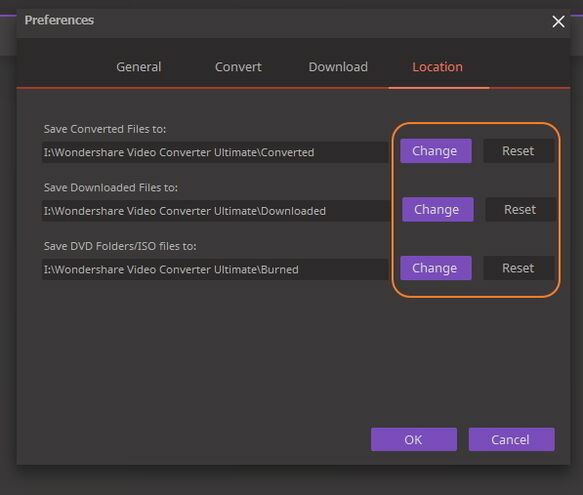 Go to the Convert section > the Converting tab of Wondershare UniConverter (originally Wondershare Video Converter Ultimate). And click the drop-down icon beside Load DVD and then select the DVD drive disk from the drop down list. 3. A window will pop up, two options are available for your choice: Main Movies or All Movies. Here we choose All Movies for example, then click OK to start loading videos. After a while, all the videos from DVD disc have been added to the conversion queue. 3. 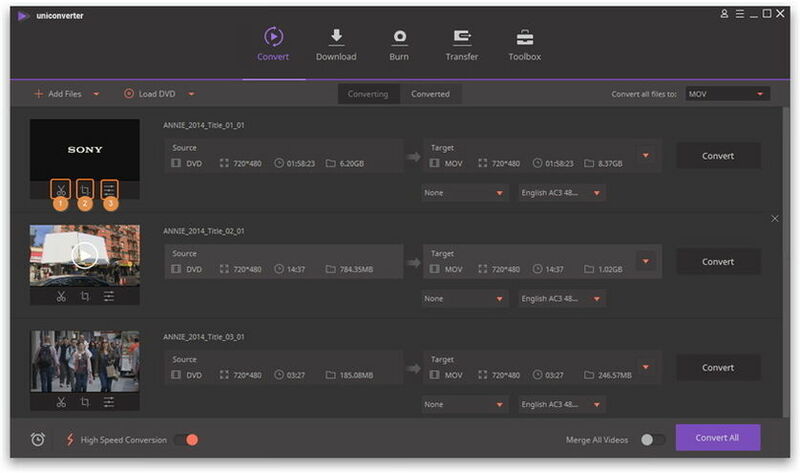 Select the output format for the videos, for example MOV. 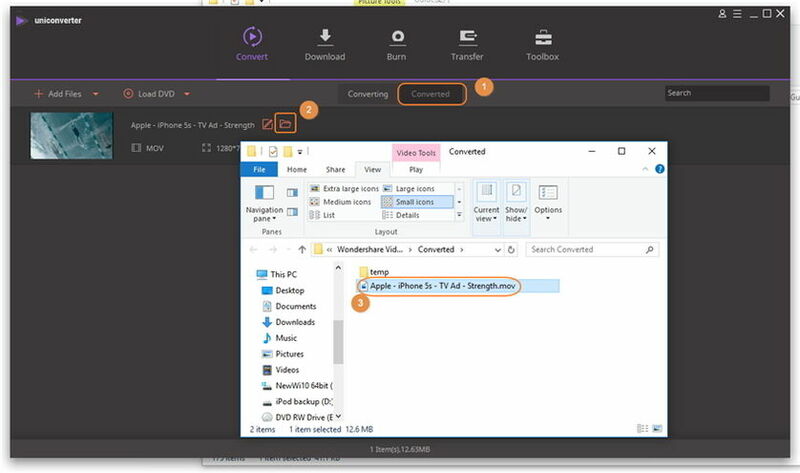 Step 6 Transfer videos to your devices (optional). If you want to transfer the converted DVD videos to your iOS/Android device, please refer to the guide How to transfer videos to iOS devices or How to transfer videos to Android devices.